What stories do you keep hearing about women in your community? What is your biggest desire/dream for African women? 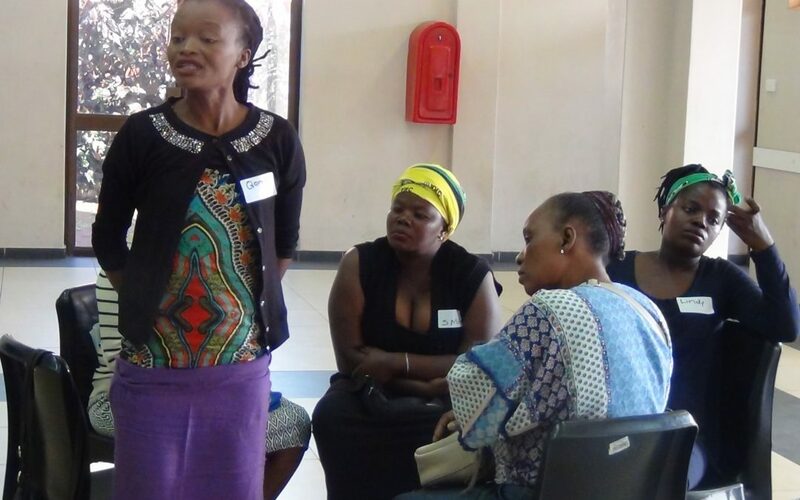 Stories: Husbands can’t provide for the family, schools are far for their children, women discriminate among each other, various forms of abuse from their children and husbands. 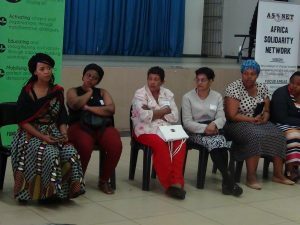 Desires: They desire safety for their families, a regular income, they want to start a cooperative for farming, councilor in the area to sponsor sewing machines as there are women that are unemployed and can sew but they can’t effort sewing machines. 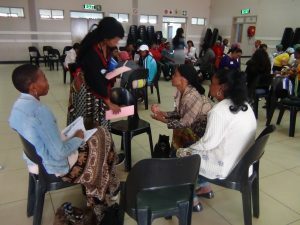 In your community, what are some of the barriers you have experienced as a woman with the intention to contribute towards inclusive community development? 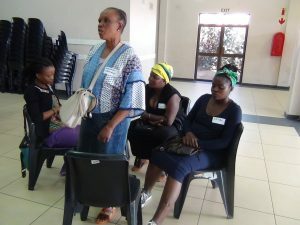 Women faced discrimination among each other, there was also discrimination against women with disabilities, a lack of youth workshops to equip teenagers with life skills, tribalism and lack of unity among community workers. 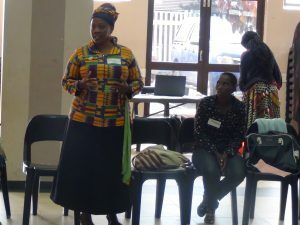 What is your contribution towards the barriers faced by African women in your community as far as inclusive community development is concerned? 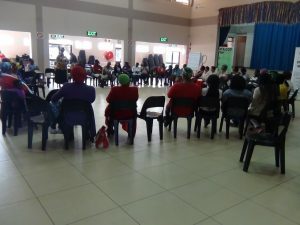 The women admitted that in fear for their own safety and that of their own families they watch as people are robbed, they buy stolen goods and discriminate against other tribes. 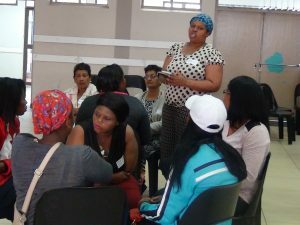 What are some of the things that we can do together to create sustainable inclusive communities in line with the dreams we have as women? The women agreed to respect each other and themselves because men will not do this for them. They also agreed to be custodians of peace and to commit to building their community.